1. Journal of Language and Linguistics Studies, International on-line journal, Vol.4, No.2, October, 2008. 2. Journal of Language and Linguistics Studies, International on-line journal,Vol.6, No.1, April, 2009. 3. Computer Assisted Language Learning, Volume: 23 (3), 2010. 4. Journal of Language and Linguistics Studies, International on-line journal, Volume 6, No. 2, October 2010. 5. Eurasian journal of educational research, Volume: 11, Issue:42, 2011. 6. Journal of Language and Linguistics Studies, International on-line journal, Volume: 8, Issue 1, April, 2012. 7. Pamukkale Üniversitesi, Eğitim Fakültesi Dergisi, Sayı: 32, Temmuz 2012. 9. Turkish Journal of Education, 2(2), April, 2013. 10. Turkish Journal of Education, 2(3), July, 2013. 11. Çukurova University, Faculty of Education Journal, 42 (2), 2013. 13. Journal of Language and Linguistics Studies, International on-line journal, 9 (2), October, 2013. 14. System, Volume 41, Issue: 4, December, 2013. 15. Journal of Language and Linguistics Studies, International on-line journal, Volume: 10, Issue 1, April, 2014. 17. System, Volume 42, 2014. 18. System, Volume 44, 2014. 19. Journal of Language and Linguistics Studies, International on-line journal, Volume:10, Issue 1, 2014. 20. Journal of Language and Linguistics Studies, International on-line journal, Volume:10, Issue 2, 2014. 21. Journal of Language and Linguistics Studies, International on-line journal, Volume:10, Issue 2, 2014. 22. Journal of Language and Linguistics Studies, International on-line journal, Volume:10, Issue 1, 2014. 23. The Anthropologist, Volume 18, Issue 2: September, 2014. 24. Dumlupınar Üniversitesi, Sosyal Bilimler Dergisi, Sayı 41, Temmuz, 2014. 25. System, Volume 49, 2015. 26. Journal of Language and Linguistics Studies, International on-line journal, Volume:11, Issue 2, 2015. 27. Procedia - Social and Behavioral Sciences,199, 2015. 30. The Anthropologist, Volume 25, Issue 3, 2016. 31. ELT Research Journal, Volume 5, Issue 1, 2016. 32. Hacettepe Universitesi, Eğitim Fakültesi Dergisi, sayı: 31-3, Temmuz 2016. Teachers: Online Communities of Practice. In K. Dikilitaş, İ. H. Erten (eds.). 35. Africa Education Review, 2016. 40. Cumhuriyet International Journal of Education, 2017. 42.The Journal of Learning and Teaching Learning, 2017. 43. Educational Research and Reviews, 2017. 45. Hacettepe University, Journal of Faculty of Education, 2017. 46. Cukurova University, Journal of Faculty of Education, 2017. 47. International Research Journal of Curriculum and Pedagogy, 2017. 48. English Language Teaching, 2017. 1. Çukurova Üniversitesi, Sosyal Bilimler Enstitüsü Dergisi, Cilt 13, Sayı:2, 2004. 2. Çukurova Üniversitesi, Sosyal Bilimler Enstitüsü Dergisi, Cilt 15, Sayı:1, 2006. 3. Çukurova Üniversitesi, Sosyal Bilimler Enstitüsü Dergisi, Cilt 15, Sayı:1, 2006. 4. Akademik Dizayn Dergisi (Journal of Academic Design), Cilt 1, Sayı 2, 2007. 5. Akademik Dizayn Dergisi (Journal of Academic Design), Cilt 1, Sayı 2, 2007. 6. Pamukkale Üniversitesi, Sosyal Bilimler Enstitüsü Dergisi, Sayı:3, Ocak 2009. 7. Akademik Dizayn Dergisi (Journal of Academic Design), Cilt 3, Sayı 2, 2009. 8. Çukurova Üniversitesi, Sosyal Bilimler Enstitüsü Dergisi, Cilt: 19, Sayı:2, 2010. 10. 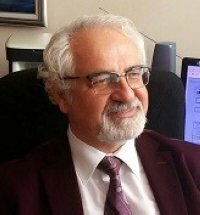 Çukurova Üniversitesi, Eğitim Fakültesi Dergisi, Cilt 41, Sayı:1, 2012. 11. İstanbul Üniversitesi, Hasan Ali Yücel Eğitim Fakültesi Dergisi, Cilt 9-2, Ekim 2012. 12. Çukurova Üniversitesi, Sosyal Bilimler Enstitüsü Dergisi, Cilt: 23, Sayı: 1, 2014. 13. Çukurova Üniversitesi, Sosyal Bilimler Enstitüsü Dergisi, Cilt: 24, Sayı: 2, 2015. 14. Araştırma Temelli Etkinlik Dergisi, 2016. 16. Bilecik Şeyh Edebali Üniversitesi, Sosyal Bilimler Enstitüsü Dergisi, 2017. 17. Muğla Sıtkı Koçman Üniversitesi, Eğitim Fakültesi Dergisi, 2017. 18. Eğitimde Kuram ve Uygulama Araştırmaları Dergisi, 2017. Pamukkale University, Journal of Faculty of Education, 32. Problems in teaching foreign languages in Foreign Language Departments and The School of Foreign Languages, Muğla University Symposium, 7-9 May, 2008. "The 1st İstanbul Arel University International ELT Conference" 29-30 May, 2009. Universite de Mugla Symposium International D'Imagologie, 26-28 Avril, 2004, Muğla, a member of the organizing committee. A week course on “Collaborative classrooms and teacher leaders,” 16-20 June, 2008 by Pamukkale University, The School of Foreign Languages and U.S. Department of State, Bureau of Educational and Cultural Affairs. GlobELT 2015 Conference: An International Conference on Teaching and Learning English as an Additional Language. Antalya, 16-19 April, 2015, a member of the organizing committee. 2nd International Contemporary Education Research Congress, 28 September - 1 October, 2017.